So you have an amazing idea for a product that you know will do well on the market, but are wondering what the next step is to bring this idea to life. This blog will show you how to go from start to finish by explaining the steps to take to go from an idea, to producing in China. You need to get this idea made into engineer designs and a prototype. It is crucial you get both done; it can be difficult to manufacture a product without an engineer drawing that has tolerances, material, and finish requirements. You need a prototype so you know your product is functional and looks good. You can do this in China, but it is not easy. Communicating with an engineer in China over different time zones can be difficult enough, but when there is a language barrier, the challenge is compounded as difficult ideas and concepts can be hard to translate. Progress is much slower because of this. It is recommended you get your design and prototype completed in America. We can help you get started on this process if you need help finding an engineering company. Okay, so now you have a beautiful prototype with clear and exact engineer drawings. The next thing you need to do is find a factory in China that can produce your products. You basically have two options, find one yourself, or get a sourcing company to find one for you. You may think that getting one yourself may be the cheaper solution, because you don’t have to pay a commission. In actuality, it is often more expensive. If you choose to get one yourself, you must learn the culture, fly to China, and start building business relationships over time. You would need to look for factories that have the capability to manufacture your product and keep your level of quality. You would need to visit their actual location. Just googling Chinese factories doesn’t work because many “factories” have websites but are really just a front some scammer setup out of his apartment hoping to con westerners out of their money. They could also be a real factory but may steal your product and sell a knockoff version. After a lot of flying around China while paying for a translator, you will be out a large chunk of change, with no guarantee of success. Using sourcing agents can simplify things as you no longer have to deal with cultural differences, language barriers, time zones, the risk of getting burned by a fraudulent factory, and a whole lot of jet lag. What makes a qualified sourcing company? Well, for one thing, biggest isn’t always best. Alibaba has had a number of issues over the past few years as listed in this article. A good sourcing company will have skilled people in China who either are Chinese or know the culture and language fluently. They have a longstanding history of protecting intellectual properties and know how to find qualified factories. They are responsive, pay attention to detail, and will ask a lot of questions about your situation to get a clear picture. They will help you through the import process and have a replacement policy for defective products. Sourcing agents should be upfront about fees and will work to fix any issues that occur. 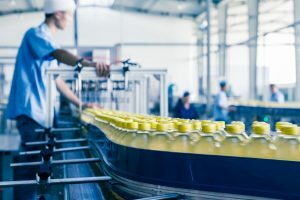 When you find a sourcing company you like, you will need to provide them with your engineer drawings and some information such as: your shipping location, quantities to quote, packaging and labeling instructions, so they can tell you how much it will cost to produce and ship your product. Also, make sure you provide the company with any additional requirements you need your product to pass such as U.S. consumer certifications. It is a good idea to get exact quotes and not shop around for ballpark figures so you have reliable numbers. It is important to note that cost, while important, should not be your main reason to pick one quote over another. Choosing a company that is responsive, reliable, and reputable will save you more money over the long run. Now that you have a quote that includes sample, production, and shipping charges, along with estimated production times, you should be ready to place a purchase order. Some companies offer a third party inspection service which may be a good investment if this is a first order or you are buying a large order. At this point, you should have been provided information about marking your product as “Made in China”, various import fees and paperwork you should expect, and you should either have your own customs broker, or have had one referred to you. Make sure the factory will make and send a sample to you before you move to production so that you will know the level of quality you will be receiving. You should also review their replacement policy. After you have signed a purchase order, you should receive a sample for approval. If there is something wrong with the sample, bring it up with your sourcing agent and have a corrected sample sent over. When you approve the sample, you should expect to pay a portion of the production order up front, and the balance when the order is ready to ship. You should expect to have to file some paperwork. Many companies will ship your shipment to the port authority of your choosing, and you may be responsible from shipping it from there to your door. Make sure you inspect your shipment, and the right quantities were received. After following these steps, you should have an awesome product ready to hit the market that you can be proud of. Visit our quote page to get started on a pricing for any products you may want to take into production.